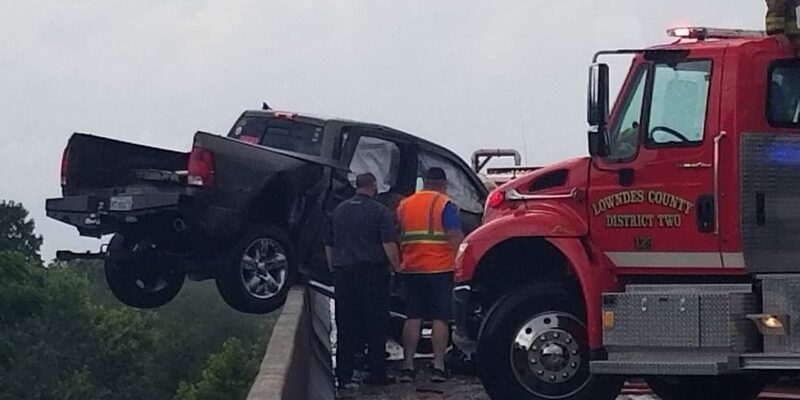 A pick-up truck teeters on the concrete rail of the Highway 50 bridge overlooking the Tenn-Tom Waterway and four people are injured in a rain-slicked crash that clogged busy evening traffic between Clay and Lowndes counties. According to the Mississippi Highway Patrol, a Dodge Ram pickup, driven by 73-year-old Nathan Osborn Jr., of Cedar Bluff, with 72-year-old Paul McGarity, also of Cedar Bluff, as a passenger, was westbound on Highway 50 and hydroplaned at about 4:40 p.m. in the rain storm. 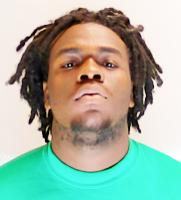 He was broadsided by an eastbound Chevrolet Colorado driven by 65-year-old Larry White of West Point which then was rear-ended by a Ford F-150 driven by 47-year-old James Logan of Caledonia. The Ram was driven onto the bridge guardrail with the river 200 feet below. Other motorists helped get them out of the truck in case it began to shift over the guardrail. To make matters worse, as emergency responders were trying to stabilize the truck and clear the scene, a scooter that was trying to go around a car wrecked. 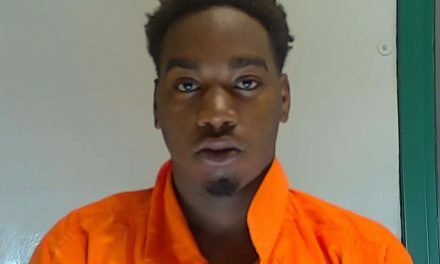 According to the MHP, a Yamaha moped driven by 29-year-old James Weston of West Point was westbound going around a car pulling out of Pate Road when Weston lost control and fell to the pavement and the moped sideswiped a Saturn passenger car driven by a 17-year-old girl from Hamilton, Miss. At least four people were transported to hospitals for treatment with the driver of the Ram the most seriously injured but none life-threatening, according to the MHP. The cycle rider also was treated.